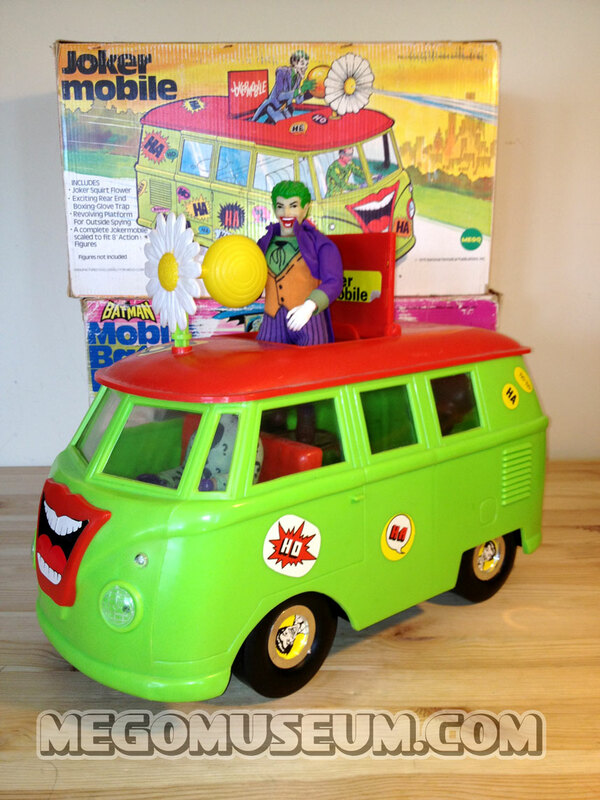 The Jokermobile is big-fun! 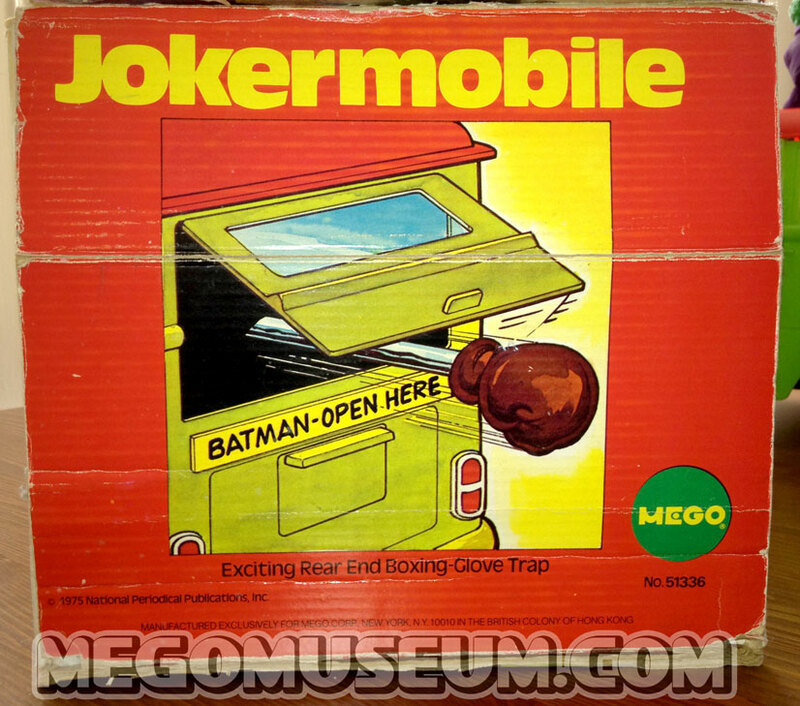 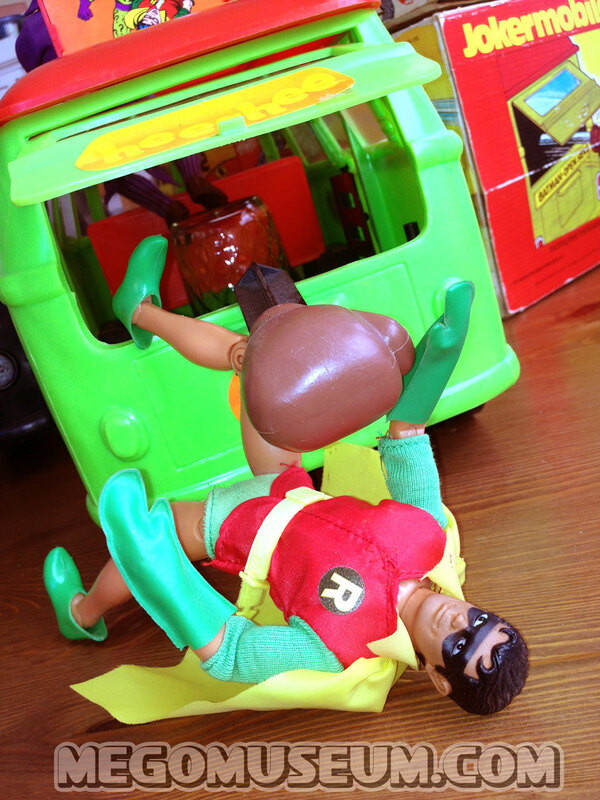 It’s perfectly perfect that the Seventies version of the Jokermobile is a converted VW Microbus!The Boxing glove trap-door is really neat! 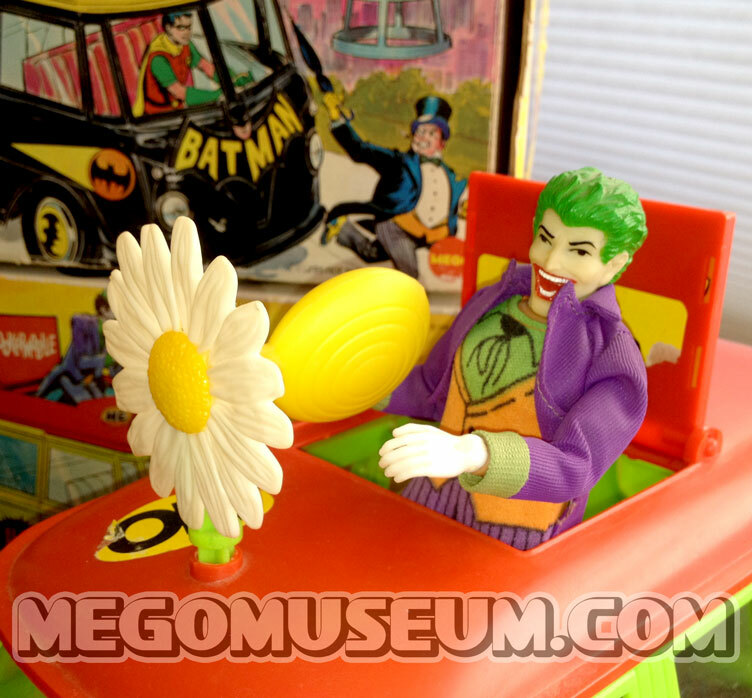 And the rooftop daisy that you can actually fill with liquid and squirt is an inspired, and inexpensive design bonus! 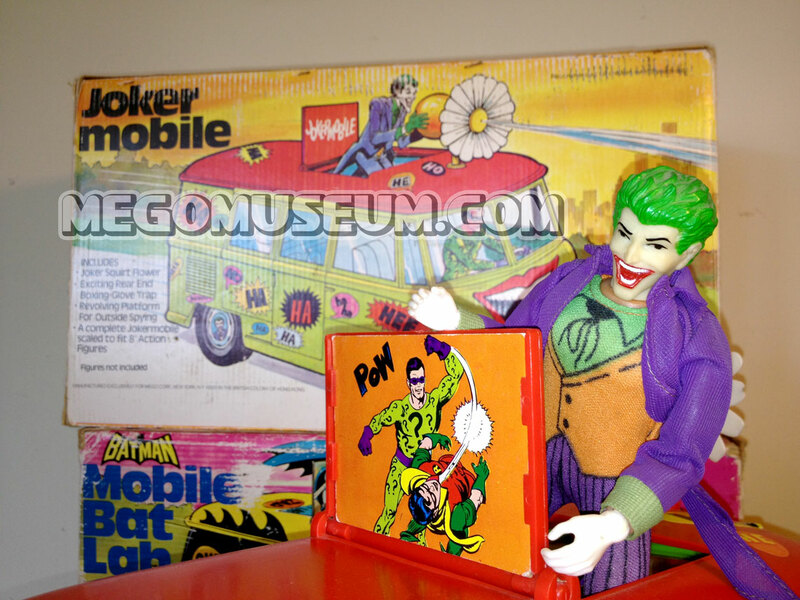 Just don’t soak your mint condition Batman with it! 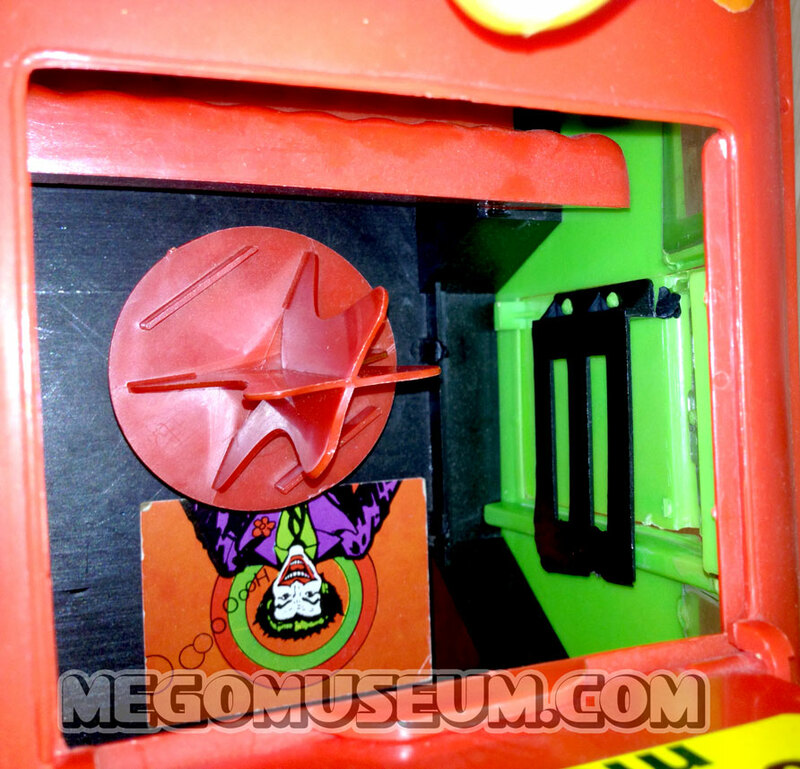 Those damn stickers have enough trouble sticking to the fabric as it is!